Confession: as soon as the airport shuttle approached Hue Hotels & Resorts' front entrance, I was stunned by the romantic edge of the hotel facade. I've seen numerous photos of the hotel online and for the most part, I found them all to be lovely. But I didn't think looking at the hotel in person would be captivating with all its night lights and design-forward architecture. I asked the driver to stop the van so I could take photos. Unfortunately, my skill vaguely gave justice to what I saw. I decided to keep the photos to myself. Subsequent to the failed night photography attempts, the van went on and parked at the hotel entrance. I got off the shuttle. The driver helped me out with my stuff just like what he did when I met him at the airport. The driver is a chatty type. But I didn't mind listening to him because he was talking about Palawan and the hotel itself. It seems he is very keen on giving guests a warm welcome. Plus, I was the only passenger at the shuttle, I sensed he didn't want that awkward silence. The lobby is neat and contemporary. The space is finished with clean white walls with some sections brushed with obvious texture, some with artificial wall-mounted plants, and some with 3D bird art. The wall art is inspired by Swiflets, locally known as "balinsasayaw". These birds are found in the towering limestone cliffs of Palawan and famous exotic ingredient in Bird’s Nest soup. I remembered Changi by Fraser Hotel in Singapore when I saw the wall of balinsasayaw. The check-in counter has colorful triangular patterns. I'm not really sure about the material, but the patterns are also present in some sections of my room. Two receptionists greeted me with a lovely smile and gave me hand towels and a welcome drink. The check-in didn't take long. Although I insisted on staying at the lobby for a bit to savor the lemongrass drink and observe more on the creative hotel interior. There are at least five styles of seats at Hue Hotels' lobby. These coloured furniture are comfortable to sit on and are positioned well against patterned wall dividers. Just before you take the stairs on the right or go further to the elevator on the left, there is the selfie ready HUE letters. Of course MY HAT did not miss the opportunity to take a picture with #HUE ! The pretty receptionist told me my room is a Suite at 330. Buffet breakfast is at Matiz and starts at 6AM. She then gave me the key card that says "the key to a vibrant island getaway is with U". The other receptionist named Angel escorted me to my room. Upon entering, she began to explain about the room facilities specifically the room service call button. There is no need to hang a room service card by the door, guests just need to click the button for requests. In my Instagram post, I mentioned that there are many things to love about the Suite but I didn't enumerate. 1. Room service requests is faster because of the installed room service button. 2. Vibrant color accents seen on the rattan carpet, pillows, mirror design, toiletries, couch, and compliments. 4. The room is quiet even if the hotel is located along the main road. 5. The room is well-lit with stylish and elegant lamps. 6. The complimentary water bottle is unique. 7. The room has plenty of power outlets, I didn't have troubles charging my gadgets. 8. THE WIFI CONNECTION IS STABLE AND FAST! I felt like Kristina Kuzmik in the bathtub minus the wine and overflowing bubbles. That is to say: I was completely relaxed. I drank tea and watched TV while soaked into the tub. Truth be told, I am a sucker for bathtub. It is among my considerations when choosing hotel rooms because my soul is Japanese! I am kidding. I just find it comforting to have hot bath before bedtime. I loved the bathroom though I had an issue on the shower room. It doesn't have soap holder and the shower handle was tricky to operate. In my case, I tried to figure it out until I gave up and succumb to the bathtub. The restroom has toiletries that are neither generic nor incomplete. Hue Hotels' roof deck has a pool area and bar for dining, drinking, and leisure. Here, guests need not go out for dinner or night life. At the bar, there are wide selections of drinks to choose from. Lounge chairs line up the pool that is lit up at night. Just past the service elevator is the Amihan Spa. Guests can enjoy traditional body massage in this relaxing place after a whole day of island touring. The buffet breakfast at Matiz is not to be missed. The food selections are plenty. Guests can enjoy Filipino favorites like bagnet, sinigang, tinapa (smoked fish) pinakbet, sisig, pickled quail eggs, pickled papaya, longganisa, etc. Italian, Chinese, and Spanish dishes like Paella are also in the menu. The taste of the food is not to die for but already enjoyable and filling. The staff are attentive and polite. They refill drinks right away. Clean up the tables and replenish food trays at once. The interior of the Matiz is everything to me. I like the suspended tables, the mixture of bare and worn-out wooden walls. I'm stunned by the collection of pendant lighting that hangs from the ceiling adding warmth to the restaurant's predominantly rustic interior. If you are too busy to arrange tours for yourself or your group, you can leave the planning to the hotel. You can just sit back and relax. 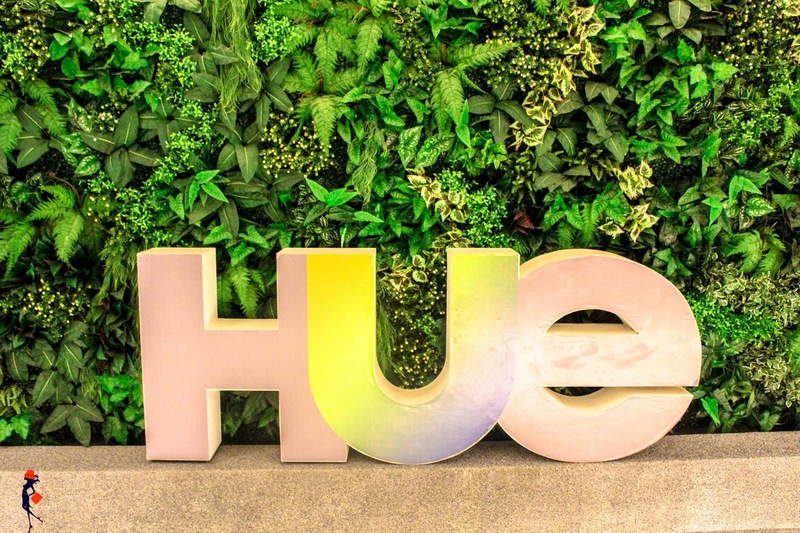 The rest is up to #HUE. For the tours I highly recommend you try Puerto Princesa Underground River Tour and Honda Bay Tour. Hue Hotels and Resorts Puerto Princesa is approximately a 15 minute drive from Puerto Princesa Airport. It is located at Km. 3 Puerto Princesa North Road, Brgy. San Manuel, Puerto Princesa City, Palawan, Philippines 5300 next to Robinson's Mall. To know more about Hue Hotels and Resorts Puerto Princesa, check out their Facebook page. You can also follow them on Instagram account for ongoing promotions and events. Hue Hotels & Resorts Puerto Princesa is a sensible choice if you're looking for a modern, well-polished property with an appreciation of Filipino culture and reasonably-priced amenities to accommodate you in your great Palawan escape. My stay here was pleasant, remarkable, and fun. The management did a great job in pulling off coordinated aesthetic details of the hotel's design that left me a memorable impression. My experience with the staff, the amenities, and food make me scream it's indeed #NicetomeetHUE! I'd love to go back to Hue Hotels and Resorts if I find myself in Puerto Princesa again. I also recommend you to stay here! What do you think about HUE Hotels and Resorts Puerto Princesa? Have you been here? If not, would you like to stay? What are your considerations when choosing a hotel? Let me hear your comments below! If you find this review helpful, please do share!